Watson-North Funeral Home is honored to be of service and ministry to the family of Bernice Schabloski,age 56, of Winchester TN. She went to meet her Heavenly Father at 3:11 a.m. on Jan 20th, 2019 at her residence with family by her side. Bernice was born on Oct 29, 1962 in Montrose PA but resided in Winchester TN for the past 18 years. Bernice loved her family, friends, her children, and grandchildren. Her children and grandchildren were the light of her life. She was employed by Great Lakes Cheese. She found great enjoyment in helping others all she could. Her favorite hobbies were taking wood and her imagination and making an array of creations. She especially enjoyed reading one of her many books from her huge personal library, playing "shoot shoot bang bang", and drinking lots of coffee. 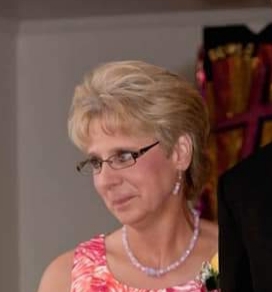 She is survived by her mother, Betty (Lewis) Jayne, children, Sarah Schabloski, Betty Schabloski, James (Erica) Schabloski, Cynthia (Chase) Rico, and Stacey (Brandon) Roland, brother, Brian (Daryl) Jayne, sister, Becky (Rick) Lewis, grandchildren, Aidan Frazier, Bowen Schabloski, Aubree Schabloski, Blake Rico, and Brian Roland, along with many aunts, uncles, nieces, and nephews. She is preceded in death by her father, Bowen Jayne Sr., sister, Gail Jayne, and brothers, Bruce Jayne and Bowen Jayne Jr. The family will receive friends on Thursday January 24, 2019 from 10-12. The funeral service will follow at 12 noon from the chapel of Watson-North Funeral Home with Bro. Ray Gardner officiating. Interment will be at Watson-North Memorial Park with Thomas Young, Chase Rico, Brandon Roland, Jeremy Lewis, Reginald Lewis and James Schabloski serving as pallbearers. In lieu of flowers please make memorial contributions to the Ronald McDonald House Nashville, TN. Obituary written in love by her family.